Voodoo Glass are experts in the area of Glass Splashbacks. The most exciting Splashbacks are those that are hand painted to form an artistic and very unique design. Our glass splashbacks can also be slumped to form a pattern. This allows another dimension to be formed on the glass. Printing on glass can also be achieved. Any image that you desire can be incorporated onto your new glass splashback. You can “pimp up” your kitchen in ways that seem impossible and unbelievable. You will be the envy of all your friends! Voodoo Glass provide a measure, supply and install packages for clients based in Brisbane, Gold Coast, and surrounding suburbs. 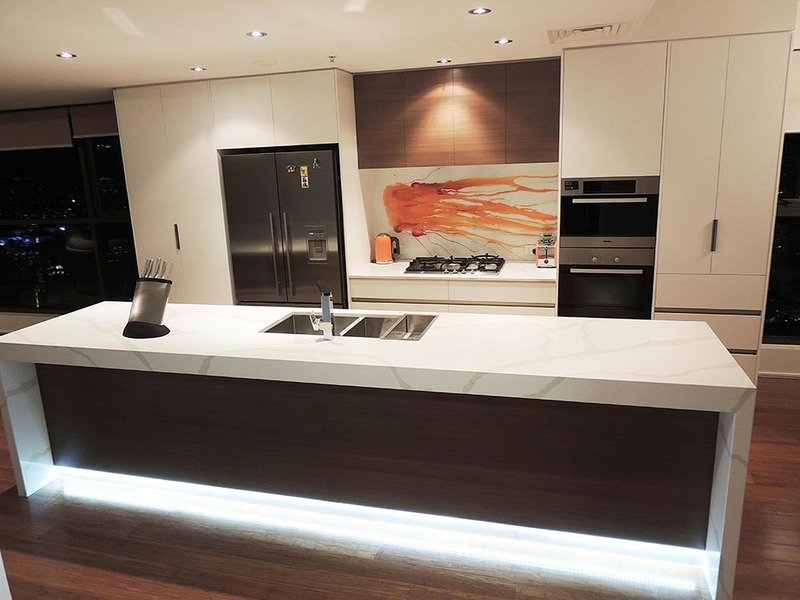 Contact us now or come and visit our Gold Coast Showroom to view the unique possibilities that can be…your new kitchen.